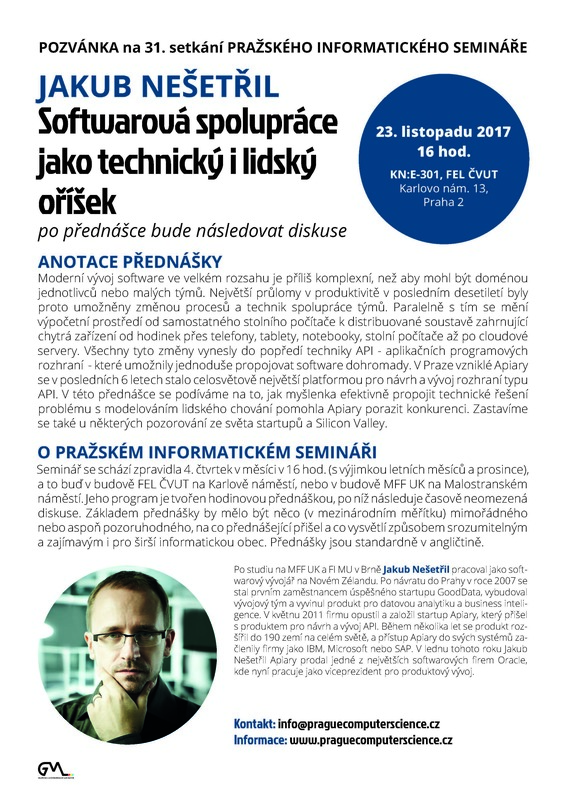 Let us invite you to the Jakub Nesetril’s lecture held within the Prague computer science seminar. Place: KN:E-301, Karlovo nám. 13, Praha 2, November 23, 2017, at 4.00 p.m.